I have come to really appreciate line drying laundry. I made this clothespin holder for my brother and sister in law. He asked for 'old school' clothespins for Christmas (and I tend to give him Christmas gifts nowhere near Christmastime.) I thought a holder would be handy and make the gift of clothespins more fun. I like how the chevron and contrasting trim has both a modern and vintage feel to it. Here are the basic steps to D.I.Y. Start with a hanger. Whatever size you choose will dictate the size of the holder and the pieces you cut out. I happened to have a hanger with the bottom missing, which I twisted to form this one. A standard size hanger will do, but may feel to large. A child's size hanger is ideal. Piece B is the size and shape of pieces A & C.
Piece C should be the depth you want to hold your clothespins. Mine is about 14 inches. 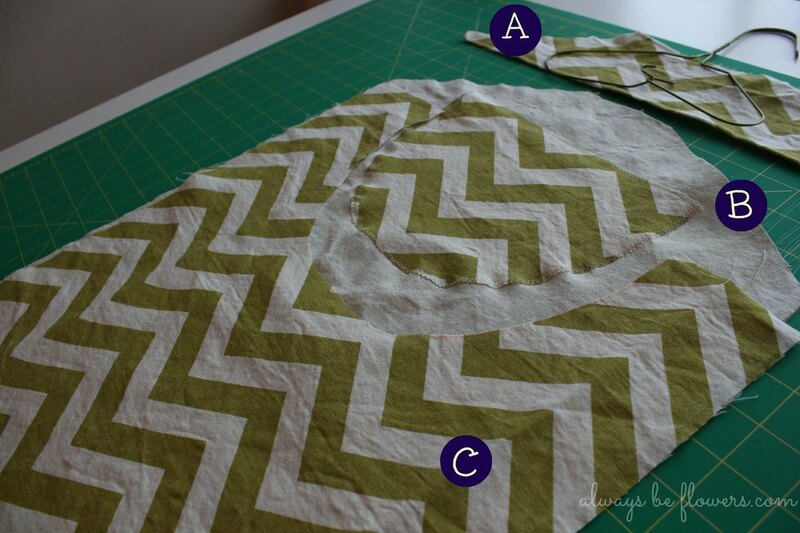 Cut a curved shape out of piece C.
I then sewed this curved cut out onto piece B's wrong size (which will be the inside of the holder) using a zig zag stitch on the edges. This is optional, and purely for aesthetics. Stack all pieces to layout the way the finished holder will lay. Connect all pieces with a French seam, starting with a small seam. 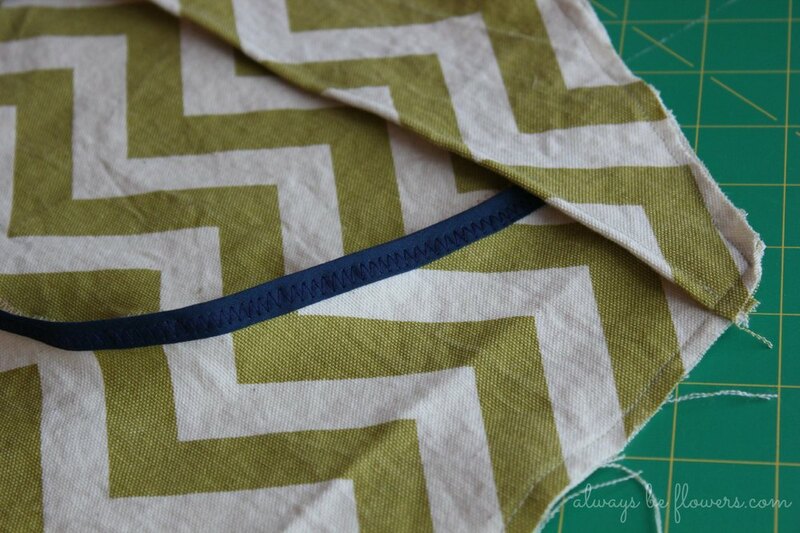 To complete the French seam, turn the pieces wrong side out. Sew another, wider, seam to encase the first seam. This 'double' seam is a French seam. It will provide strength for the seam (since clothespins will be inside it) and hide all raw edges. Tack on each side here.